You know that delivering a great experience is beneficial for your business. You know that if you can guarantee this it will raise your brand profile and increase returning customers and referrals, differentiating you from the competition. 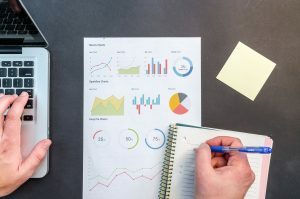 We understand that a massive programme of activity just isn’t practical for small business, so our Audit services are designed to provide an independent assessment through the eyes of your customers to enable you to identify the areas where your efforts, and time, are best spent. The ClarityCX audit will cover 6 key areas and over 30 individual elements, highlighting where to prioritise for maximum impact. Typically this will be 1 or 2 days on site (depending on the size of your business), speaking with your team, reviewing your customer communications and processes as well as assessing the pre-customer experience that impacts whether visitors will decide to get in touch with you or not! You will be provided with a detailed report, clearly identifying strengths and priority areas for improvement along with suggestions of how to achieve them. We also offer the option of a combined audit with our partner Celebrating Disability. 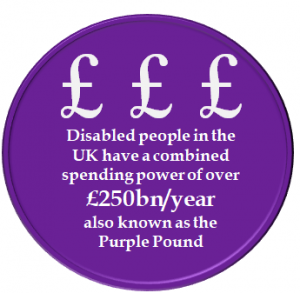 20% of the UK population are registered as disabled, with many disabilities not being visible. Meeting basic requirements of adding ramps and rails may make you accessible but it doesn’t automatically mean you’re inclusive or attractive to this large customer base. Many of the suggestions and solutions that are recommended to improve customer experience also improve disability inclusion, hence our natural partnership to deliver this as a combined service. Contact Us to find out if our audit services are the trigger you need to start the key changes to positively impact your business.